Today I am hoping along with the winners of my highlights from January. 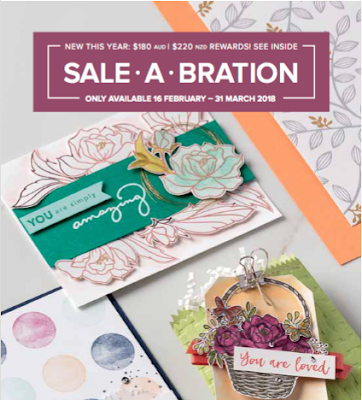 Our theme is the same as the hop last month which was Sale-a-Bration and Occasions products. You may be starting here or have come from the person before me in the hop - that is fine! You can still hop all the way around and not miss one. The list is at the end of this post. Here is the card that I made using the gorgeous new Springtime Foils Speciality Designer Series Paper! Isn't it GORGEOUS??? Remember you can only get your hands on this every $90 you spend in my Australian store - if you are an Australian from the 16th February. The Powder Pink Cardstock goes wonderfully with the Rose Gold foil found in this specialty paper. I also cut out the flower as shown in the Sale-a-Bration catalogue and coloured it with the Stampin' Blends. The light and dark Pink Blends. 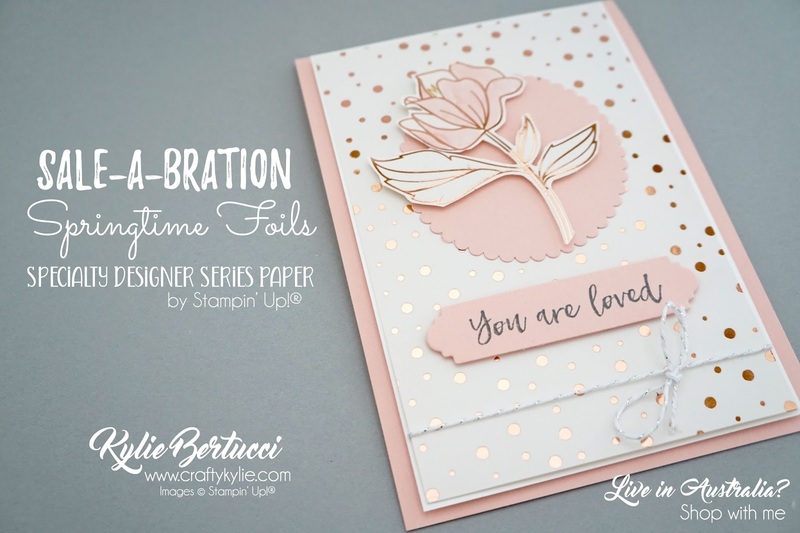 The Sentiment is from the new Sale-a-Bration Stamp set called Blossoming Basket Stamp Set. There are two sentiments in that stamp set that is gorgeous. Remember you can earn the Blossoming Basket Bundle with every $180 order starting on the 16th February. The thinlit I used to cut out the sentiment is from the Petals & More Thinlits Dies found in the occasions Catalogue. 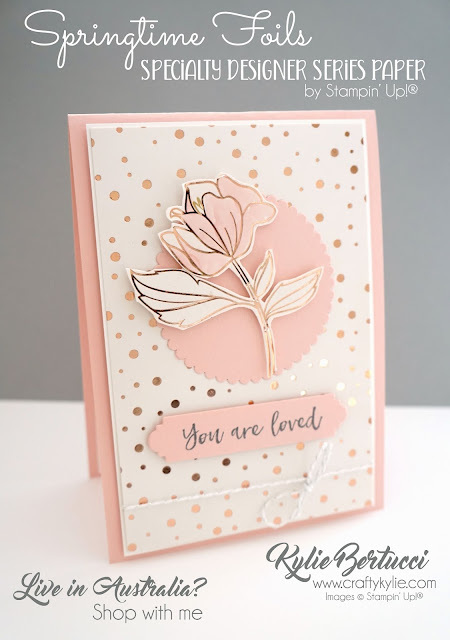 I hope that you were inspired by my card today! Bruno and I head off to Vanuatu on a cruise with my fabulous assistant Jessie and another friend. We are so looking forward to going after issues with my passport. The next international highlights is going to be the same theme and will be held on my blog next week. 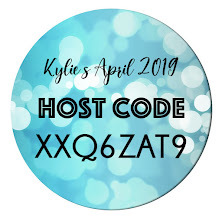 If you would like to take part join our Facebook Planning group so you can get all the details of how to play along - Click Here. This is STUNNING, Kylie! I'm getting that paper this week. So gorgeous. 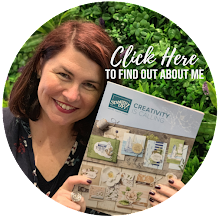 Thanks for having the blog hop! 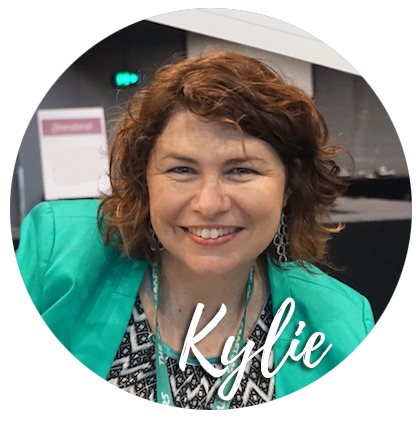 What a gorgeous card Kylie! I love the colours and now I really need that DSP!!! Ha ha ha. So gorgeous! I want this paper!! 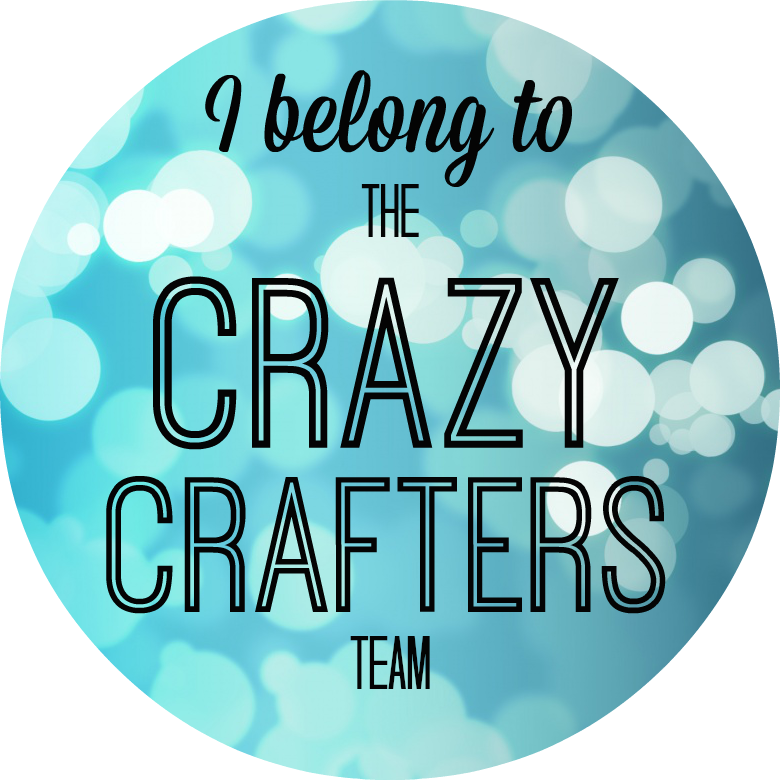 Thank you for organizing the blog hop-I love them! Absolutely stunning card. I love this foil paper. What stamp set is the flower from? I am so in love with that DSP.....it's amazing. 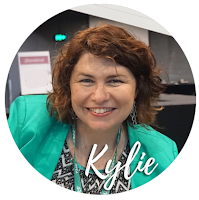 Beautiful card Kylie...thanks for another great blog hop. So feminine and pretty! I am loving that DSP. Thanks for hosting these awesome hops!